Are Low Doses of Niacin Dangerous? 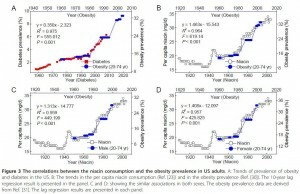 In Food Fortification: A Risky Experiment?, Mar 23, 2012, we began looking at the possibility that fortification of food, especially the enriched flours used in commercial baked goods, with niacin, iron, and folic acid may have contributed to the obesity and diabetes epidemics. Multivitamins typically contain about 20 mg niacin, so (a) a typical American taking a multivitamin is getting 52 mg/day niacin, and (b) if the increase of 12 mg/day due to fortification is dangerous, then taking a multivitamin would be problematic too. There wasn’t evidence of niacin deficiency at 20 mg/day. The RDA was set at 16 mg/day for men and 14 mg/day, levels that equalize intake with urinary excretion of niacin metabolites [source: Dietary Reference Intakes]. Fortification of grains with niacin was designed to make refined white wheat have the same niacin content as whole wheat, not to rectify any demonstrated deficiency of niacin. 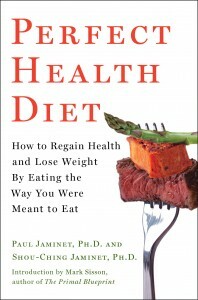 [N]iacin is a potent stimulator of appetite and niacin deficiency may lead to appetite loss . Moreover, large doses of niacin have long been known to impair glucose tolerance [23,24], induce insulin resistance and enhance insulin release [25,26]. Our recent study found that oxidative stress may mediate excess nicotinamide-induced insulin resistance, and that type 2 diabetic subjects have a slow detoxification of nicotinamide. These observations suggested that type 2 diabetes may be the outcome of the association of high niacin intake and the relative low detoxification of niacin of the body . 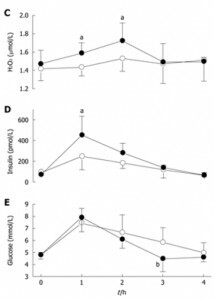 Of course 300 mg is a ten-fold higher niacinamide dose than most people obtain from food, but perhaps chronic intake of 32 mg/day (52 mg/day with a multivitamin) daily over a period of years have similar cumulative effects on glucose tolerance as a one-time dose of 300 mg.
Is There a Correlation with Obesity? OK. Is there an observable relationship between niacin intake and obesity or diabetes? Niacin intake maps onto obesity rates with a 10-year lag. After niacin intake rose, obesity rates rose 10 years later. 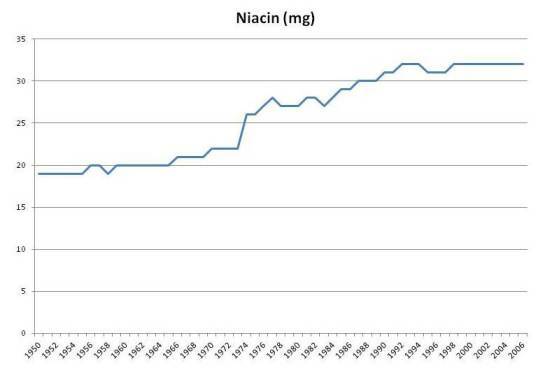 Note the scaling: a 60% increase in niacin intake was associated with a doubling of obesity rates 10 years later. 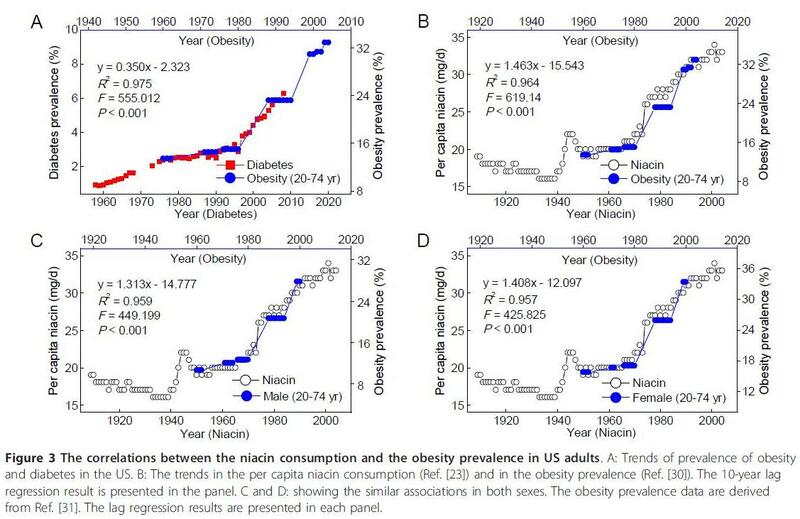 Obesity leads diabetes by about 15 years, so we could also get a strong correlation between niacin intake and diabetes incidence 25 years later. The scaling in this case would be a 35% increase in niacin associated with a 140% increase in diabetes prevalence after a lag of 25 years. How seriously should we take this? As evidence, it’s extremely weak. There was a one-time increase in niacin intake at the time of fortification. A long time later, there was an increase in obesity, and long after that, an increase in diabetes. So we really have only 3 events, and given the long lag times between them, the association between the events is highly likely to be attributable to chance. It was to emphasize the potential for false correlations that I put the stork post up on April 1 (Theory of the Stork: New Evidence, April 1, 2012). Just because two data series can be made to line up, with appropriate scaling of the vertical axis and lagging of the horizontal axis, doesn’t mean there is causation involved. If niacin from wheat fortification is sufficient to cause obesity or diabetes, with an average intake of 12 mg/day, then presumably the 20 mg of niacin in multivitamins would also cause obesity or diabetes. So we should expect obesity and diabetes incidence to be higher in long-time users of multivitamins or B-complex vitamins. But in fact, people who take multivitamins or B-complex vitamins have a lower subsequent incidence of obesity and diabetes. This increase in hazard ratios (“HR”) with adjustment for obesity and diabetes almost certainly indicates that the supplements reduce the incidence of these diseases. Does this exculpate niacin supplementation? I don’t think so. In general, improved nutrition should reduce appetite, since the point of eating is to obtain nutrients. 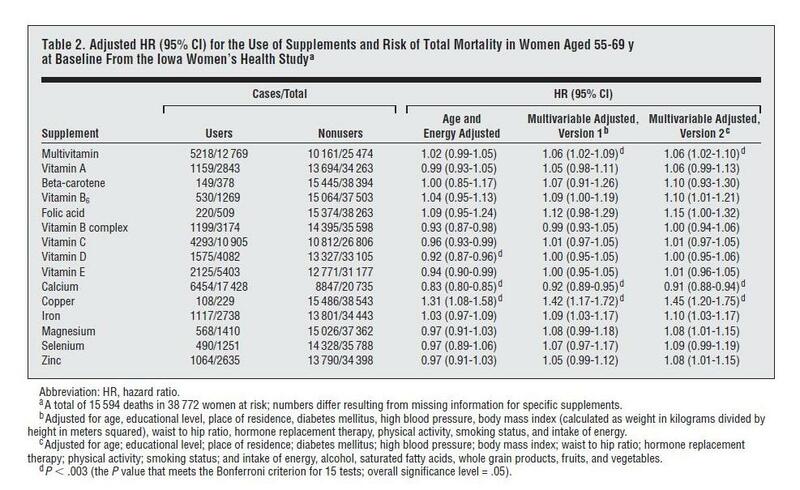 So it’s no surprise that multivitamin use reduces obesity incidence. But multivitamins contain many nutrients, and it could be that benefits from the other nutrients are concealing long-term harms from the niacin. At this point I think the evidence against niacin is too weak to convict in a court of law. 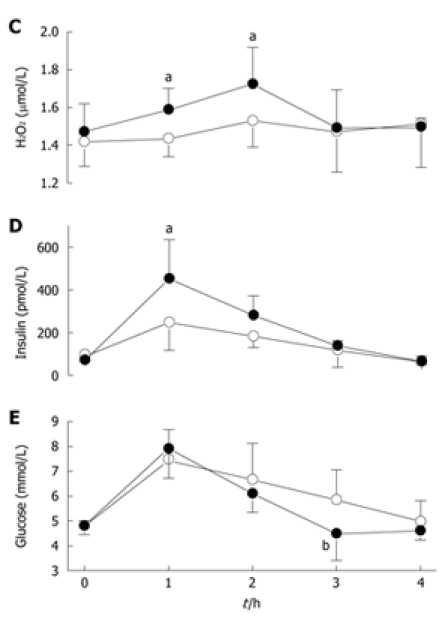 Clear evidence that high-dose (300 mg) niacinamide causes oxidative stress and impaired glucose tolerance. If niacinamide can raise levels of peroxide in the blood, what is it doing at mitochondria? No clear evidence for benefits from niacin fortification or supplementation. Personally I see no clear evidence that niacin supplementation, even at the doses in a multivitamin, is likely to be beneficial. Along with other and stronger considerations, this is pushing me away from multivitamin use and toward supplementation of specific individual micronutrients whose healthfulness is better attested. Li D et al. Chronic niacin overload may be involved in the increased prevalence of obesity in US children. World J Gastroenterol. 2010 May 21;16(19):2378-87. http://pmid.us/20480523. Zhou SS et al. B-vitamin consumption and the prevalence of diabetes and obesity among the US adults: population based ecological study. BMC Public Health. 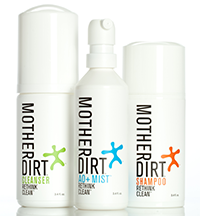 2010 Dec 2;10:746. http://pmid.us/21126339. Chaput JP et al. Risk factors for adult overweight and obesity in the Quebec Family Study: have we been barking up the wrong tree? Obesity (Silver Spring). 2009 Oct;17(10):1964-70. http://pmid.us/19360005. Food Fortification: A Risky Experiment? We’ve learned enough in the last two years to revisit the supplementation advice from our book, and toward that end I am starting a series on micronutrients. I’ve recently been looking at some papers studying the effects of food fortification with micronutrients. These changes provide a sort of “natural experiment” which may provide insight into the benefits and risks of supplementation. According to the FDA, a pound of enriched flour must have the following quantities of nutrients to qualify: 2.9 milligrams of thiamin, 1.8 milligrams of riboflavin, 24 milligrams of niacin, 0.7 milligrams of folic acid, and 20 milligrams of iron. This is an ironic choice of nutrients. While thiamin and riboflavin are harmless, niacin, folic acid, and iron are three micronutrients we recommend NOT supplementing in the book. Another nutrient we recommend NOT supplementing, vitamin A, is also a fortified nutrient, although not in flour. Perhaps not even for that! 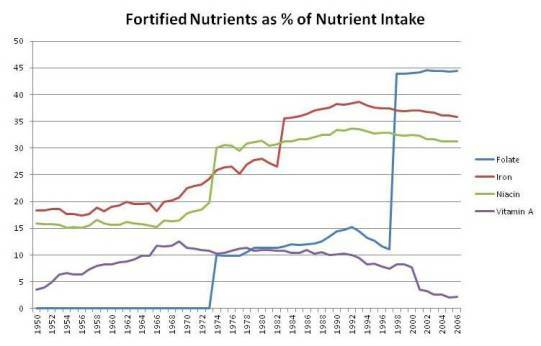 A history of nutrient fortification over time can be found at this USDA site. Enrichment has a long history, but the amount of fortification has increased substantially since the 1960s. Enrichment mixtures were added to rice, cornmeal/grits, and margarine beginning in 1969, and to ready-to-eat cereals, flour, and semolina beginning in 1973. Inclusion of high levels of folic acid in all enriched foods became mandatory in 1998. The enrichment mixture is applied to rice as a coating. Therefore, it is recommended that rice not be rinsed before or after cooking and not be cooked in excessive amounts of water and then drained. The enrichment … would be lost. This is useful information: We can remove the enrichment coating by rinsing rice before cooking. That may turn out to be a good idea! 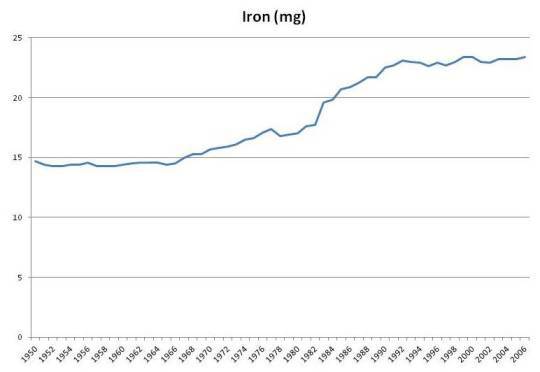 You can see sharp rises in fortified niacin and folic acid in 1973, in iron in 1983, and again in folic acid in 1998. By 1998, folic acid in fortified foods constituted 44% of all dietary folate, and enrichment mixtures provided one-third of all iron and niacin. Fortified vitamin A provided about 10% of all dietary vitamin A from 1964 through 2000. 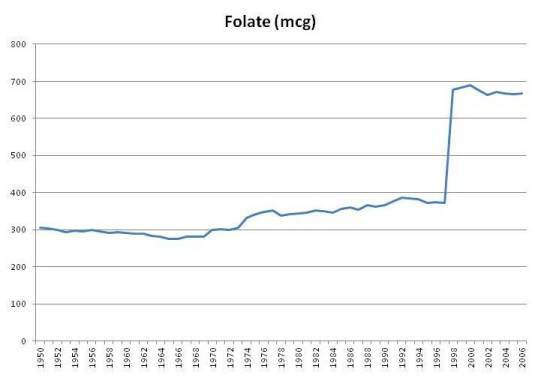 Folate intake from foods has always been around 300 mcg per day, and jumped sharply when folic acid intake became mandatory in 1998. The USDA estimates that intake of folate, including folic acid, jumped from 372 mcg per person per day in 1997 to 678 mcg in 1998, and has remained above 665 mcg ever since (source). For those who eat a lot of wheat products, intake may be even higher. A pound of enriched white flour has 770 mcg folic acid along with its 1660 calories. If Americans were getting 372 mcg folate from food prior to folic acid fortification, then someone eating a pound of enriched wheat products per day would be getting about 1,142 mcg folate from all food sources. It’s not uncommon to eat substantial amounts of enriched wheat. The typical American eats 474 g (1800 calories) carbohydrate per day. Most of that is from enriched grains. Those eating industrially produced breads, cookies, crackers, and breakfast cereals may have a very high folic acid intake. Add in a multivitamin – most multivitamins have 400 mcg and prenatal vitamins have 800 mcg – and a sizable fraction of the population has a folate intake of 1,500 to 1,900 mcg per day, 1200 to 1600 of it as synthetic folic acid. This is well above the tolerable upper limit (UL) for folic acid of 1000 mcg (Wikipedia, “Folate”). Averaged over all Americans, folic acid from fortified foods comprises 44% of all food-sourced folate, but for Americans taking a multivitamin folic acid becomes 65% of all folate and, for those taking a prenatal vitamin, 75%. There are several potential health problems that could arise from excessive intake of folic acid, and I’ll explore a few in this series. An excess of each promotes infections. Niacin (in the NAD+ form) is the rate-limiting factor in bacterial metabolism. Iron is a critical mineral for oxygen handling and is needed by most infectious pathogens; in fact the immune response tries to lock up iron in ferritin during infections. Both niacin and iron are involved in oxygen handling during metabolism and an excess of each can aggravate oxidative stress. In the book we noted studies showing that people whose intake of vitamin A was above 10,000 IU/day tended to have higher mortality. This was most commonly observed in people taking multivitamins. 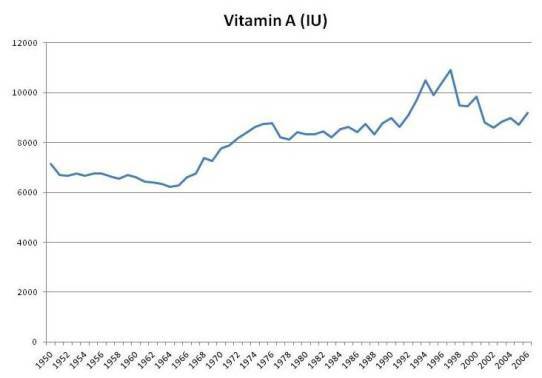 There was a period of enthusiasm for vitamin A supplementation between the 1960s and 2000. Multivitamins had more vitamin A in that period. After studies showed negative results, the vitamin A content of multivitamins was reduced. It is possible that the source of problems may not be vitamin A per se, but degradation products of vitamin A. I’ve previously blogged about how vitamin A plus DHA (a fatty acid in fish oil) plus oxidative stress can produce highly toxic degradation products (see DHA and Angiogenesis: The Bottom Line, May 4, 2011; Omega-3s, Angiogenesis and Cancer: Part II, Apr 29, 2011; Omega-3 Fats, Angiogenesis, and Cancer: Part I, Apr 26, 2011). Foods which have been successfully fortified with vitamin A include margarine, fats and oils, milk, sugar, cereals, and instant noodles with spice mix. Moisture contents in excess of about 7-8% in a food are known to adversely affect the stability of vitamin A. Beyond the critical moisture content there is a rapid increase in water activity which permits various deteriorative reactions to occur. Repeated heating, as may be experienced with vegetable oils used for frying, is known to significantly degrade vitamin A. The hygroscopic nature of salt has prevented its use as a vehicle for vitamin A fortification in countries of high humidity. In trying overcome this problem, a new vitamin A fortificant, encapsulated to provide an additional moisture barrier, was evaluated with limited success. The cost of using highly protected fortificants can be prohibitive in many cases. There aren’t many foods that don’t contain 7% water, or acquire it after fortification, so degradation is a real concern. Vitamin A in multivitamins may also be exposed to degradation. The possibility of vitamin A degradation, especially in combination with DHA from fish oil and oxidative stress, is why I’m skeptical of the health merits of fermented cod liver oil. I think exploring the effects of fortification will be an interesting topic. We will consider whether fortification may play a role in various diseases that have become more common since 1970 or 1998, such as obesity, diabetes, and autism. And we will consider what the health effects of food fortification may tell us about how to optimize micronutrient supplementation.